Two current consultations – in Hartlepool and Blackpool – propose interfering and controlling PSPOs that are directed at dog owners. Both draft PSPOs extend the areas within which dog owners cannot walk their dogs, or must walk their dogs on a lead. In addition, both include a requirement for dog owners to produce a ‘means to pick up’ dog mess on request. If they refuse to do so, they will be fined. Both PSPOs also include a power for council owners to scan dog microchips – to obtain certain identity for the owner, and also to issue a fine if the dog is not microchipped. Blackpool includes a restriction that people will not be able to exercise un-microchipped dogs off leads. It also includes an age limit (up to 16) for children being able to walk their dogs unsupervised. The Blackpool consultation (running until 25 September) is here. The Hartlepool consultation (until 30 September) is here. 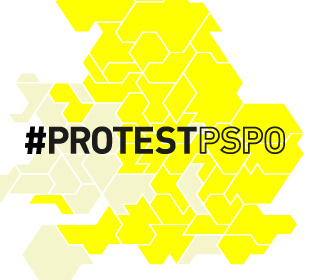 Sign a petition against the Blackpool PSPO here. The Manifesto Club responses are below. It should not be a crime for a dog owner not to produce a bag for inspection. First, because the dog owner might have used or their bags and be close to home, and therefore do not need a bag. (Perversely, the requirement to carry a bag at all times could dissuade them from picking up, if they are down to their last bag). Second, because it fails to target the harmful behaviour, which is required under current statutory guidance for PSPOs. The act of dog fouling is harmful; the PSPO should target this behaviour, and not something connected to it which is not in itself harmful. Third, because this gives a right of officials to hassle dog owners who have done nothing wrong, and to ask them to prove their innocence. It is therefore intrusive upon the right of people to go about their lives if they have not done anything wrong. It is not the job of council officers to check and enforce the law on dog microchipping, nor to collect penalties for non-compliance. Giving council officers the power to scan dogs also puts dog owners in the position of being subject to obligatory ID checks, which is not the case for other citizens, who are not obliged to carry or present proof of identity. Plans for ID cards were scrapped after public outcry; there is an important principle that people should not have to present proof of identity to officials. Dog owners are being penalised and subject to special surveillance that is not the case for other members of public. It is important that children are able to take responsibility for their pets. Parents can decide when their children are able to walk their dogs unsupervised, just as they decide when they are able to walk to school unsupervised, and do many other things unsupervised. If other adults occasionally need to help out a young person walking a dog, then this is one of the civic duties we offer to one another, as part of giving guidance and help to young people when they need it. (The same would be the case if they fell off their bicycle or missed their bus on their way to school). The council should not legislate on the age limit for dog walking, any more than they should legislate on the age at which children are able to ride bicycles or walk to school unsupervised.